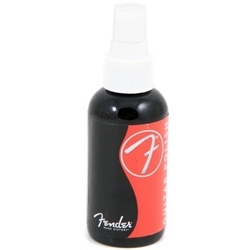 Fender Guitar Polish is formulated to work safely with even the most delicate of finishes. Environmentally friendly pump-spray bottle. The guitar polish is perfectly designed to protect and shine your axe to keep it looking new.